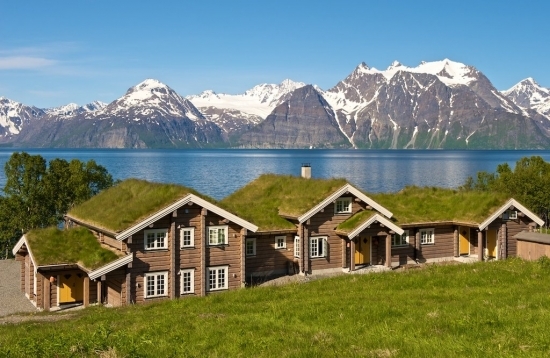 The Lyngen Alps are where mountains meet fjords, where few people live, and even fewer have the privilege of luxury and nature in such satisfying measures. 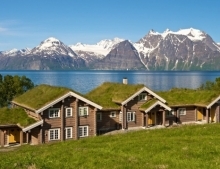 Luxury accommodation is provided by Lyngen Lodge – a small scale boutique hotel with turf-top roof that faces the Lyngen Fjord high above the Arctic Circle in Norway. 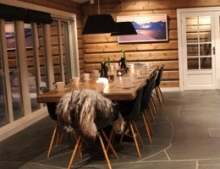 The Lodge provides travellers with a high-end Scandinavian experience celebrating its natural surroundings and leaving each guest with a true feeling of escape and indulgence. Daylight is round the clock for much of the summer giving guests ample time to re-energise and enjoy the outdoor surroundings. This short break can be customised to your travel dates and preferences. If you would like to travel in winter, please visit this link. 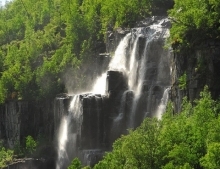 You’ll be met at Tromsø Airport or the city centre by your hosts and transferred to the remote little spot near to the Lyngen Alps – a scenic journey of just over two hours. You’ll settle into the lodge and have time to relax in the outdoor hot tub and sauna before sitting down to dinner in the evening. 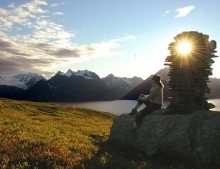 Enjoy a delicious home-cooked meal followed by a chance to witness the midnight sun. After a blissful night’s sleep, today you’ll have the chance to join a guided excursion from our list available below. The hiking and walking opportunities are unparalleled with stunning fjord and mountain views at every turn. 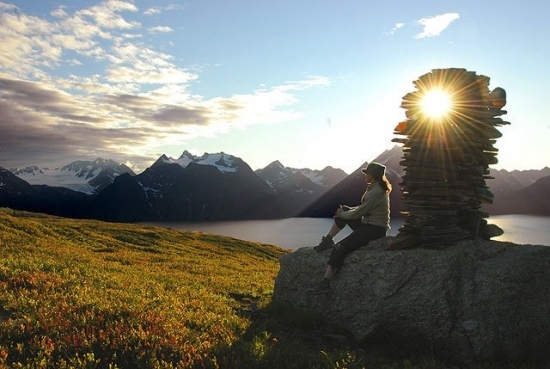 Directly behind Lyngen Lodge stands Storehaugen Mountain (1124m) carved by ancient glaciers thousands of years ago. 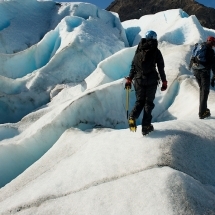 There are paths to suit every fitness level and the trek can be guided if required. Also don’t miss a trip by boat on the fjord for fishing or a guided kayak. 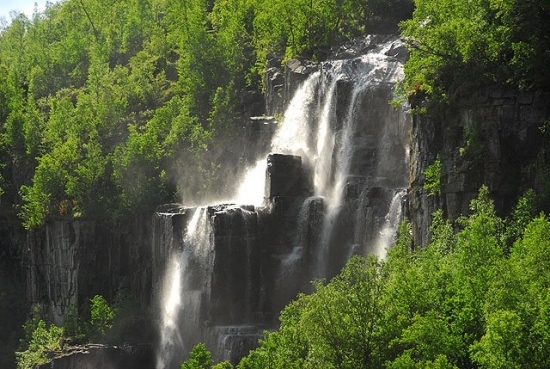 We can tailor your stay with your selection of adventures. A second day for adventures awaits. 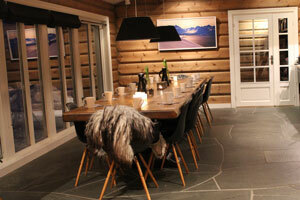 Choose from our selection below to make the most of your holiday at Lyngen Lodge. 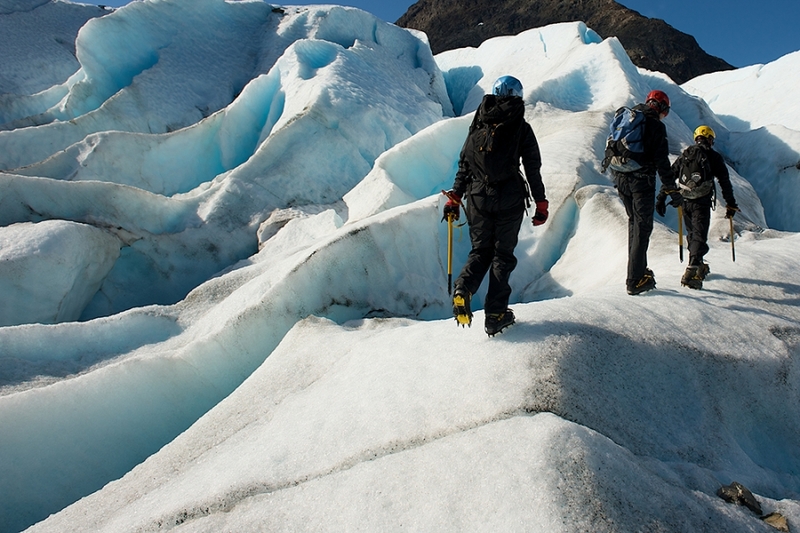 We'll be happy to help select the adventures to suit your requirements and fitness level. Return to Tromso. Or extend your stay at the Lodge with additional nights or a late check out.